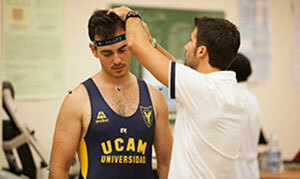 The Biomechanics Laboratory is located in the Research Center for High Performance Sport at UCAM. 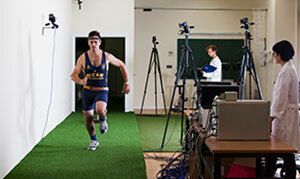 The primary focus of the Biomechanics Laboratory is to examine the effects of different training modes on performance and fitness in both individual and team sports. 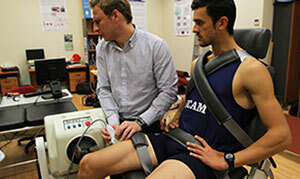 Additionally, the laboratory is interested in understanding the biomechanical and physiological adaptations that occur with a variety of exercise training protocols in athletes as well as in older adults. 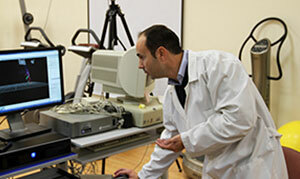 The laboratory is equipped with state-of-the-art technology to assist in data collection in various research projects. 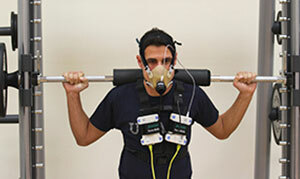 Some of the instruments include: two force platforms, respiratory gas analyzer, isokinetic dynamometry, dual-energy x-ray absorptiometry, ultrasound, 3-D motion capture system, and electromyography. Currently, several on-going research projects are being funded by both government (Ministerio de Economía y Competitividad, Consejo Superior de Deportes) and private (Fundación Real Madrid) agencies. Our primary research study on “Strength and power-resisted training in both football and athletics” is currently being funded by I+D+I (Ministerio de Economía y Competitividad) in the amount of 120,000€. The objective of this study is to determine the optimal load for maximum acceleration gains with sledtowing training method for competitive athletes.